Please use the buttons below to find all the information you need for the 46th Annual Course taking place in Portland, OR. SGNA Show Management updates the pages regularly with important information as we approach the 46th Annual Course, however if you feel something is missing or have any questions, please reach out to exhibits@sgna.org. We look forward to seeing you in Portland! Learn more about SGNA's members and Annual Course attendees. The SGNA Annual Course is the place to connect with GI nurses and associates. Learn how you can participate in the SGNA 46th Annual Course and download contracts. Already confirmed as an SGNA exhibitor? All the information you need to plan your participation at the Annual Course is here. 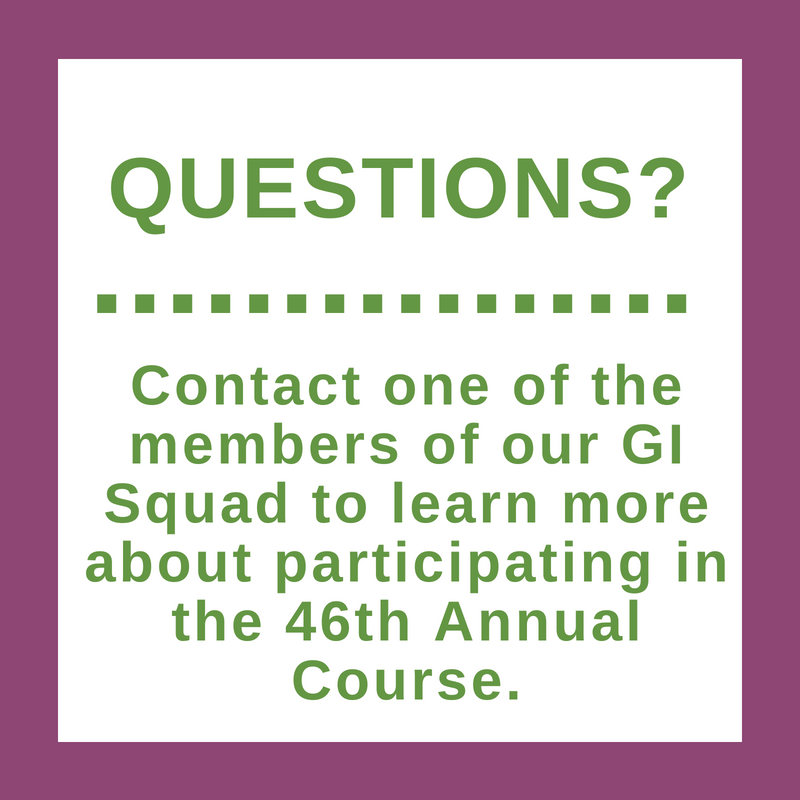 Contact one of the members of our GI Squad to learn more about participating in the 46th Annual Course.